The hotel entrance is pretty nice and spacious — the Hotel Malte Opera offers in fact a large lounge area, a delightful floral covered patio with seating and a cheerful breakfast room where I indulged in a daily lavish buffet breakfast, complimentary snacks and drinks throughout the day, and cocktail hour in the evening. It was on the second night of my stay that I realized the lounge was open until 10pm, serving evening drinks, canapés, and delectable desserts. This of course made it difficult to ever want to actually leave the hotel. 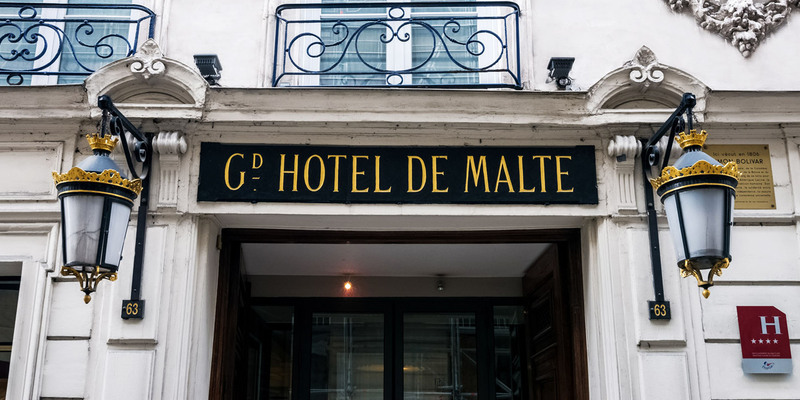 The staff at Malte Opera Hotel is always on hand to assist with directions, recommendations, and to pleasantly ask how your day was when you return from a long day of sightseeing. Each staff member takes a genuine interest in each guest with the intent to learn just as much about your culture as they are willing to share of theirs. 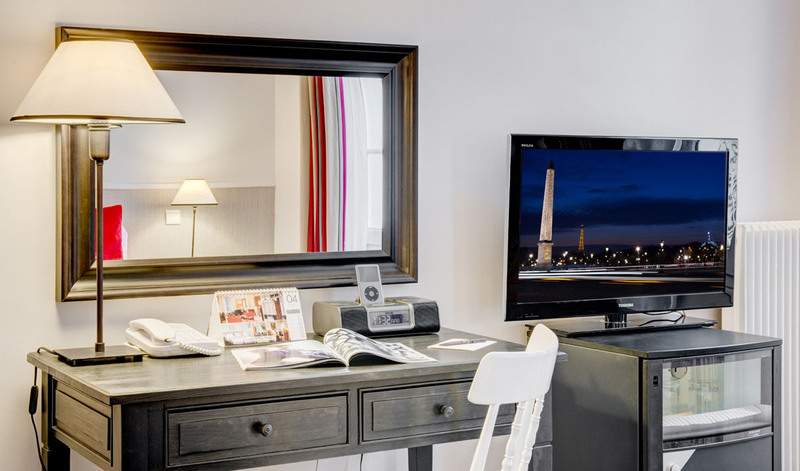 Like in many of the hotels in Paris, regular rooms can be pretty small, so I definitely suggest you book a superior room, you won’t be disappointed. The bright, comfortable rooms have refined, modern yet subtle decor and they include satellite TV, an iPod docking station and free Wi-Fi. There was even a glass of champagne on arrival matched with a lovely box of macarons, as well as complimentary mini bar throughout the stay! 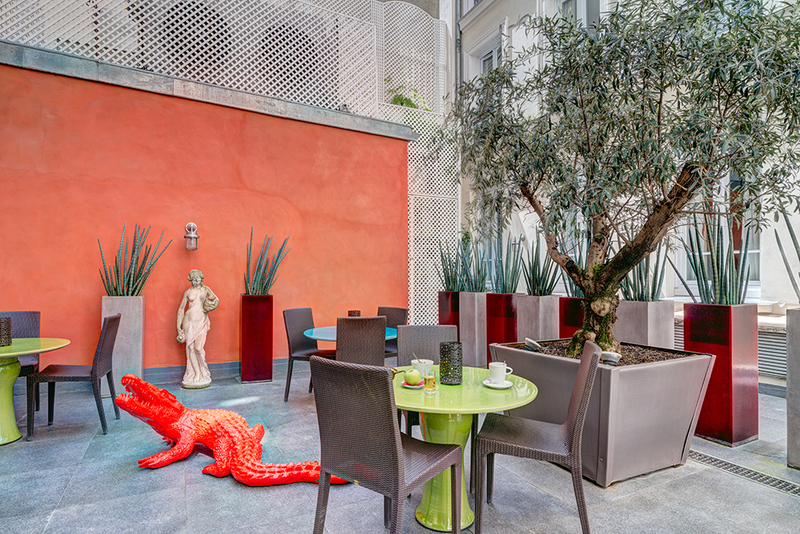 Room tip: ask for a view of the hotels’ interior courtyard for something extra special. 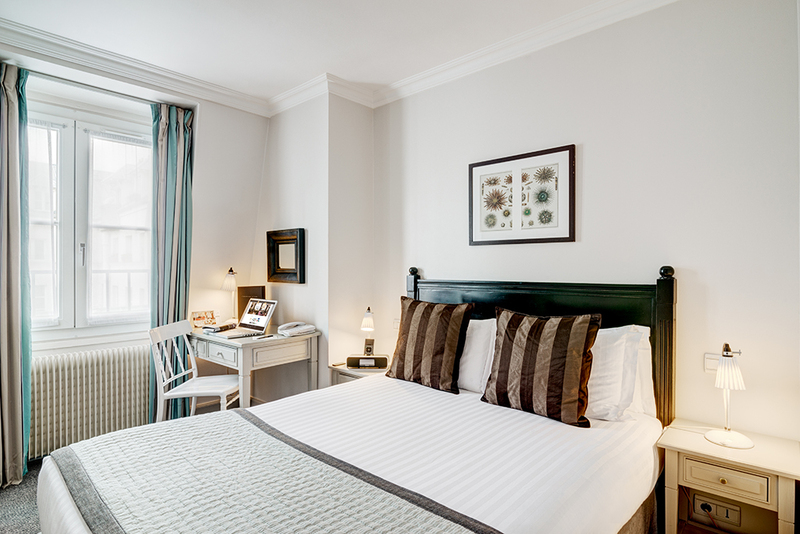 This hotel is ideal for a special holiday treat and is certainly well-priced for the quality and unmatched attention to detail you will receive inside. 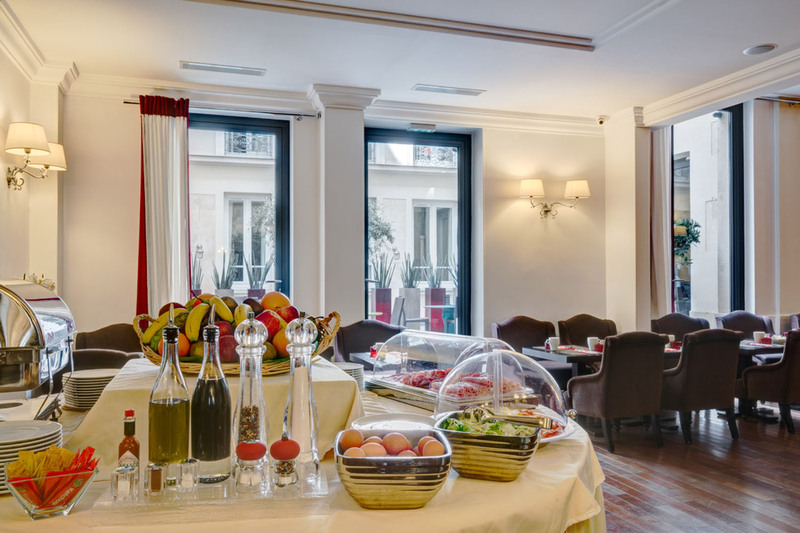 All in all, I can only recommend the Hotel Malte Opera for your stay in Paris: a spotless place, and a great experience! 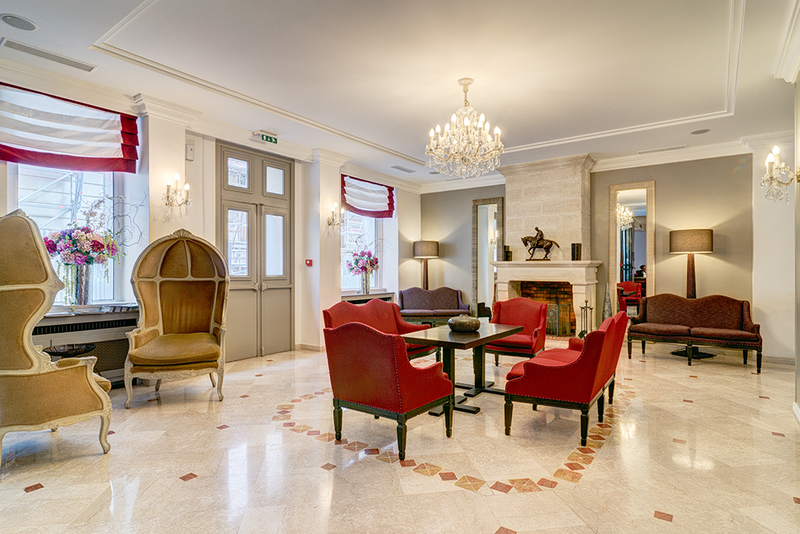 What’s your favorite hotel in Paris?